We know that when working with fabrics and wallcoverings, color, hand and texture are incredibly important. We’re happy to send you our current Swatch Card of our most popular Performance Processes. Or we will gladly produce individual custom samples for you at no charge. Send a cutting of your fabric or wallcovering (approximately 8″ x 10″) and specify the service(s) you would like to see. Send a separate 8” x 10” cutting for each process you would like to see. If you have any questions, please contact our Customer Service Dept. at 973-279-9174, xt.508, or email us at info@customlaminations.com. Materials are carefully processed in our sample department by hand. These pre-production samples are intended to be used ONLY as visual aids to demonstrate what your fabric may look like with one of our services. 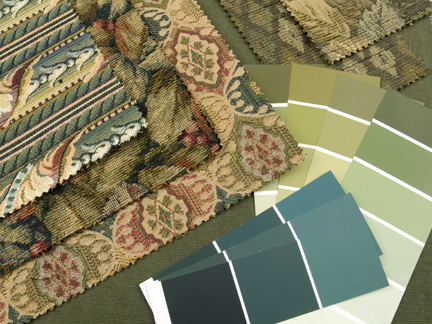 An 8” x 10” sample DOES NOT necessarily provide verification that your particular fabric or wallpaper is compatible with the chosen process(es) in a full production run. In some cases the only way to determine compatibility is through a 5 yard sample production run. Charges will apply. Call our Customer Service Dept. for more information at 973-279-9174, xt.508.